In this guide I’ll be showing you the 5 ridiculously easy steps you’ll need that will allow you to watch BBC iPlayer abroad. Yes, that really means in ANY country! BBC iPlayer is without question THE best streaming service in the UK. Ok, well, as long as you discount Netflix and Amazon Prime that is. But accessing good ol’ iPlayer overseas can be a pain in the neck. If you’re jetting off around the world for business or pleasure and you want to watch BBC iPlayer then you’re going to need a ‘VPN‘ app otherwise you’ll be blocked. If you’ve already heard you’ll need a ‘VPN’ app then you’re probably wondering what one even is and how easy it will be to use? Below I’ll be showing you the 5 steps which will take you less than 5 minutes to complete that will let you watch BBC iPlayer anywhere in the world. To watch BBC iPlayer abroad you’ll need to get a ‘VPN‘ app. This lets you change your location so the BBC iPlayer app or website thinks you’re still in the UK. There are so many providers of VPN apps available these days it’s confusing to know where to turn and to complicate things more, not all work with BBC iPlayer. After some pretty tiring testing I’ve found ExpressVPN to be the best and most reliable to watch BBC iPlayer abroad. If you’re a bit of a savvy shopper you’ll want to check out a few options so the following three are the best for watching BBC iPlayer abroad right now. It doesn’t matter too much which VPN app you end up choosing because all three listed work well with BBC iPlayer abroad. Now you know what you need to watch BBC iPlayer abroad you’ll be wondering how hard that’s going to be. No need to panic. Using a VPN to watch BBC iPlayer is super easy. Even my mother managed to follow these steps and in her own words she’s “terrible with technology”. Follow the 5 steps below and you can be watching BBC iPlayer in any country. Visit the ExpressVPN website or one of the other providers listed above and sign up. Download their app from the ‘Products’ section of their website. Then press ‘Connect‘ (3) if the app doesn’t automatically connect for you. Now you’re connected to the VPN app all the hard work is done. It’s simply a case of visiting the BBC iPlayer website or using the BBC iPlayer app. 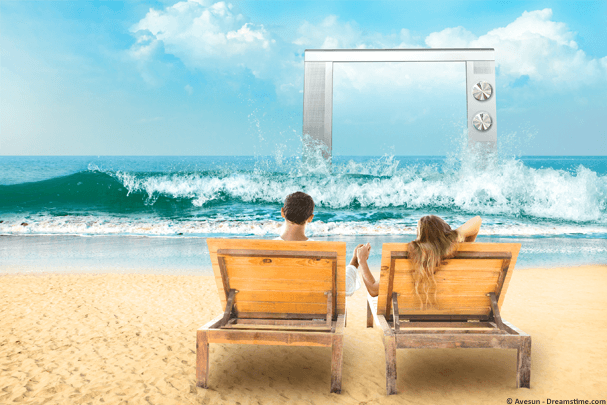 You’ll now be able to watch your favourite programmes in any country in the world. What devices does this method work on? If you use the ExpressVPN service then it’ll work on almost all major devices. Of course, it won’t work on that old Nokia 3210 you’ve got stuffed in the back of the drawer but that goes without saying. This means you can watch BBC iPlayer on an Android or Apple iOS tablet or phone, a Windows or Mac OS computer or laptop or even the Amazon Fire TV or Fire TV Stick. If you’re going to be watching BBC iPlayer abroad on a Fire TV or Fire TV Stick then it’s worth noting that you’ll need to use a web-browser such as Silk Browser or Firefox as it won’t work through the dedicated BBC iPlayer app. If you’re looking for a dedicated VPN for your Amazon Fire TV or Fire Stick then it’s best to check out our dedicated Best VPN for Firestick guide. Can’t I just download some BBC shows somewhere? The internet is awash with illegal content and while it’s likely you can download popular shows like Doctor Who, it’s highly illegal (check out our dedicated watching Doctor Who guide if you’re a fan). Not only do you stand the chance of getting a letter or fine about your illegal usage but you’ll also put your computer or other device at risk. Dodgy websites load malware and viruses onto your device. After all, it’s how they get paid for providing their ‘service’. All those pop-ups for adult websites really can’t be doing your device any good. Oh and did I mention, it’s highly illegal, so don’t do it. If you’re going outside the UK or you’ve already left then you’ll need a ‘VPN‘ app. This lets you change your location so you can appear somewhere else. The BBC iPlayer website or app checks your location and when it sees you’re outside the UK it blocks you. With a VPN app you won’t be blocked. 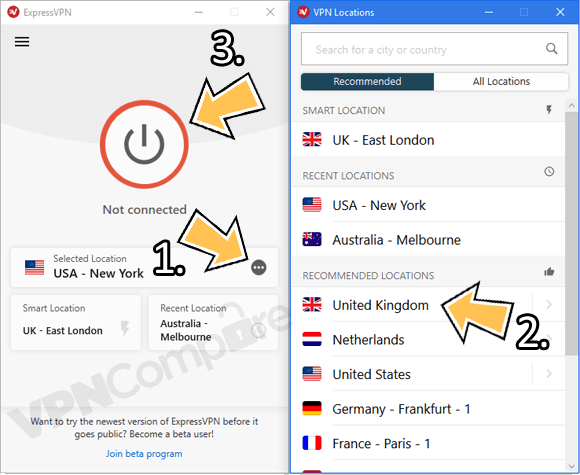 There are a handful of great VPN providers that are suitable but my top choice is ExpressVPN. They’re beginner-friendly and have a massive 30-day money back guarantee. You can also save 49% right now if you take their annual package which makes it nearly half the price of paying on a monthly basis. Grab ExpressVPN by clicking the link below, sign up for their service and download their VPN app. Then connect to the United Kingdom. You’ll now be able to watch BBC iPlayer abroad in any country on any kind of device. I told you it was ridiculously easy, didn’t I?